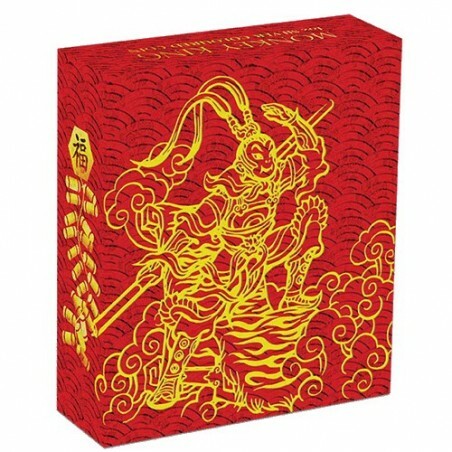 2016 $1 Monkey King 1oz Silver Coloured Coin Celebrating the Year of the Monkey. 2016 $1 Monkey King 1oz Silver Coloured Coin Celebrating the Year of the Monkey, this stunning silver coloured coin features the Monkey King. Struck by The Perth Mint from 1oz of 99.9% pure silver , the coin is issued as legal tender under the Australian Currency Act 1965. 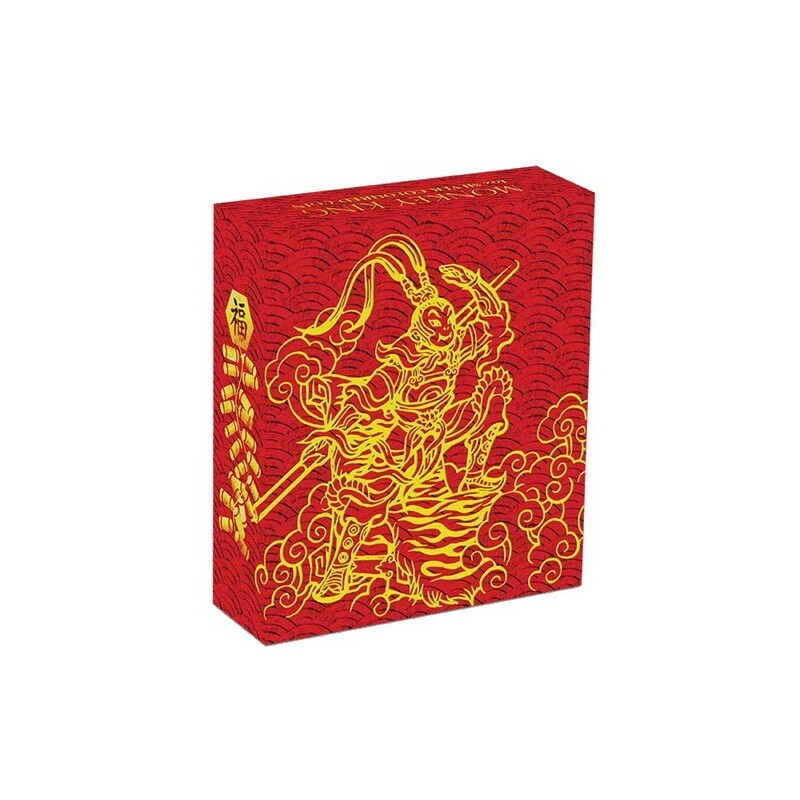 The Perth Mint will release no more than 5,000 of the 2016 Monkey King 1oz Silver Coloured coins in this packaging out of a maximum mintage of 100,000. The reverse of the coin features a coloured image of the Monkey King on a throne against a backdrop of mountains and clouds, with two young monkeys. The design includes the Chinese character for ‘monkey’, the inscription ‘Year of the Monkey’, along with The Perth Mint’s ‘P’ Mintmark. The coin’s obverse features the Ian Rank-Broadley effigy of Her Majesty Queen Elizabeth II, the monetary denomination and 2016 year-date. Each coin is housed in a classic grey presentation case and illustrated shipper and is accompanied by a numbered Certificate of Authenticity. Certificate of Authenticity : Perth Mint Certificate of Authenticity. Advertising Date : 1st December 2015. Release Date : 1st December 2015. Shipping Date : 1st December 2015.